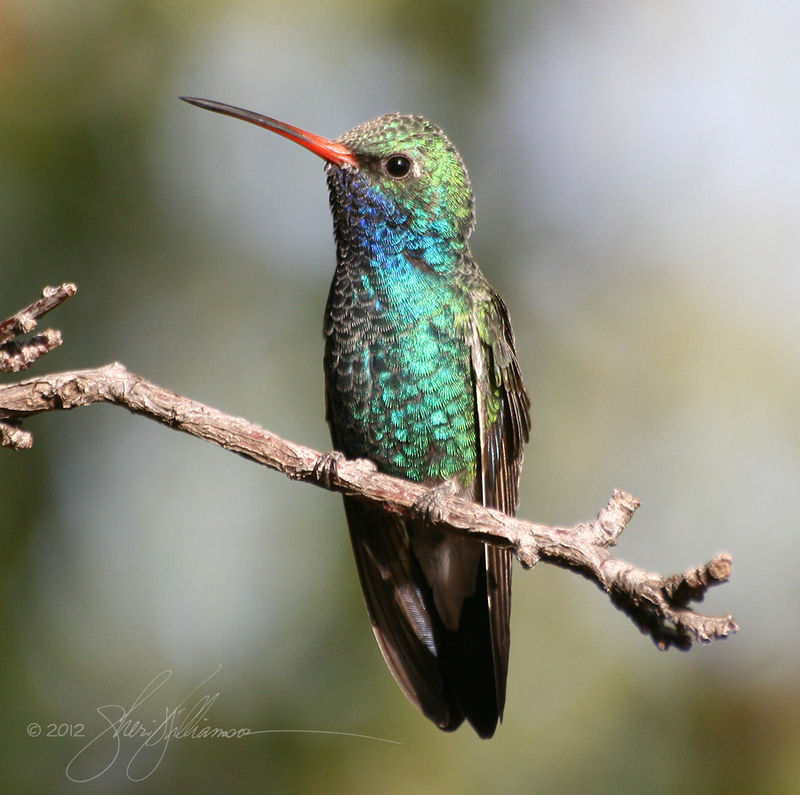 On February 11, 2006, a juvenile male hummingbird at the Gilbert Water Ranch in central Arizona was identified as a Ruby-throated by Rich Hoyer of Tucson, Arizona based on call notes that Hoyer described as “unmistakably those of a [sic] Archilochus” combined with a few iridescent red feathers in the gorget. 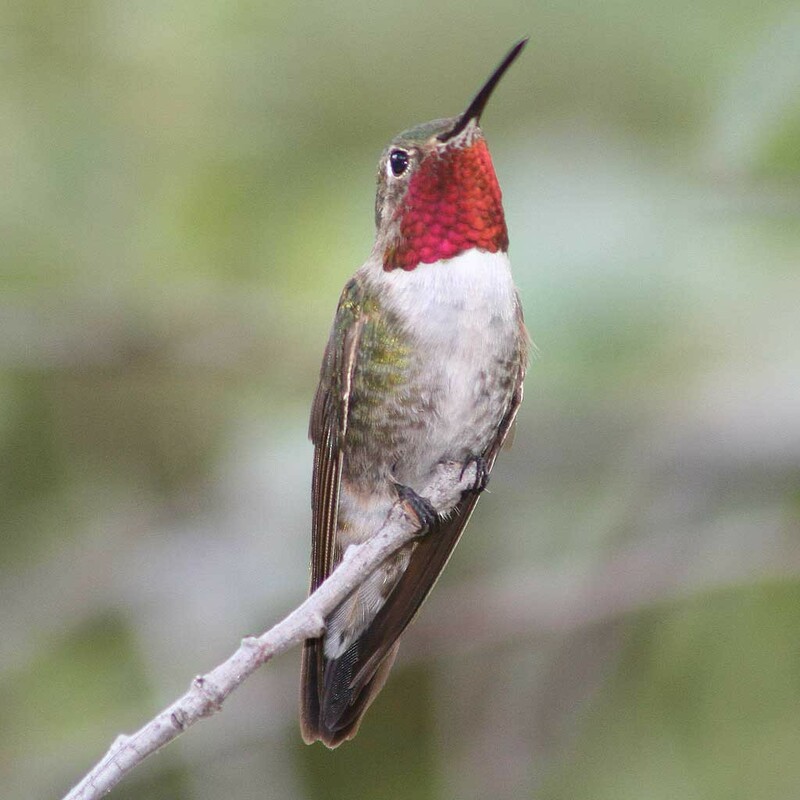 Since this would have been only the second record of Ruby-throated Hummingbird in Arizona, Hoyer promptly alerted other birders present at the Water Ranch and passed on word of his discovery to the Arizona-New Mexico birding listserv within the hour. 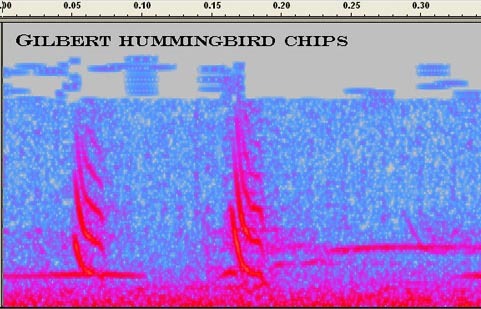 A controversy erupted when photos of the bird taken the same day by Jack Holloway clearly showed field marks inconsistent with a Ruby-throated Hummingbird. 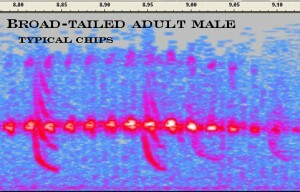 The bird’s plumage, physique, molt timing, and migration timing (presuming that it was not a winter resident, which it may very well have been) were all consistent with a second-year male Broad-tailed and did not support identification as either a pure Ruby-throated or a hybrid Archilochus × Broad-tailed. One might have expected the controversy to end here, but Hoyer’s certainty about the bird’s voice remained a persistent point of contention. Fortunately, Pierre Deviche was able to record the “mystery” bird’s calls and made these recordings available for analysis. 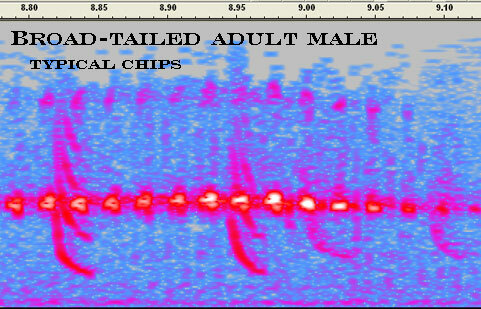 I used the audio editing program Audacity to create sonograms from both Deviche’s recordings and samples of Broad-tailed and Black-chinned (standing in for Ruby-throated, whose voice is almost identical) recorded by Doug Von Gausig and Geoffrey Keller. 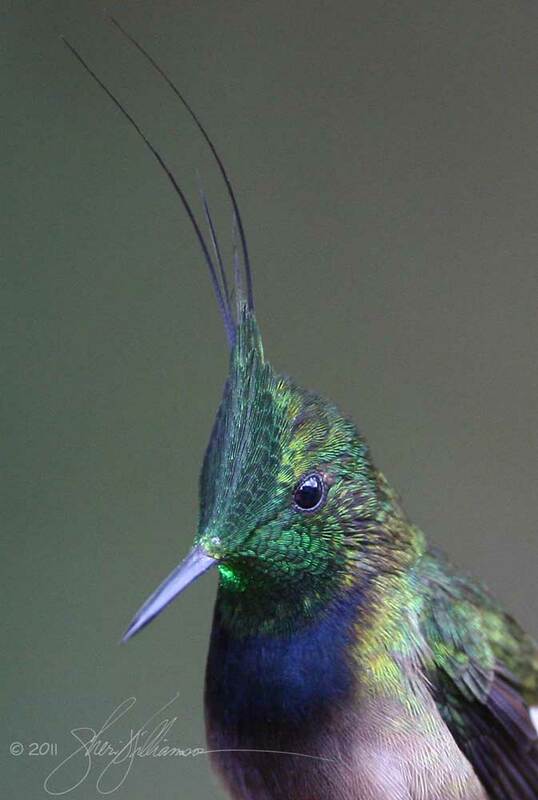 This analysis revealed that the Gilbert bird’s calls were virtually identical to samples of male Broad-taileds and clearly different from those of Archilochus, which finally brought the controversy to an end. See below for links to photos, messages posted on BIRDWG05, my off-list responses to remarks posted on BIRDWG05, and my sonograms and accompanying discussion. 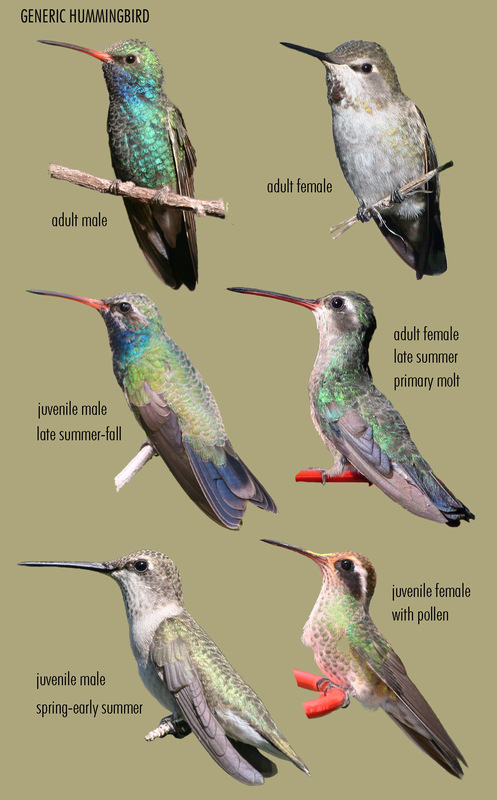 These assertions demonstrate a lack of awareness of the current state of knowledge of hummingbird hybrids, including “female-plumaged” (female and juvenile male) Broad-tailed × Archilochus. 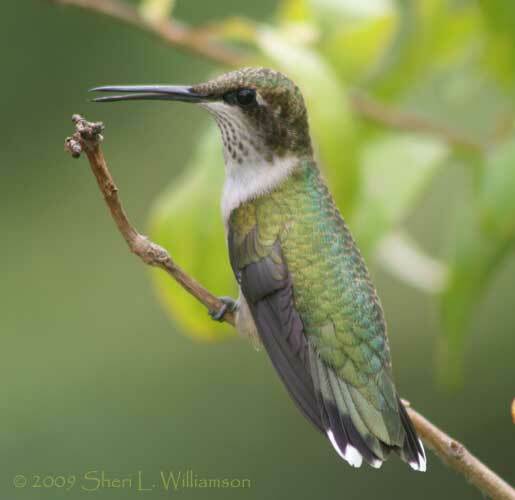 Hummingbird banders have thoroughly documented female and juvenile male hybrids of several combinations as well as ambiguous “female-plumaged” birds that may be of hybrid origin. 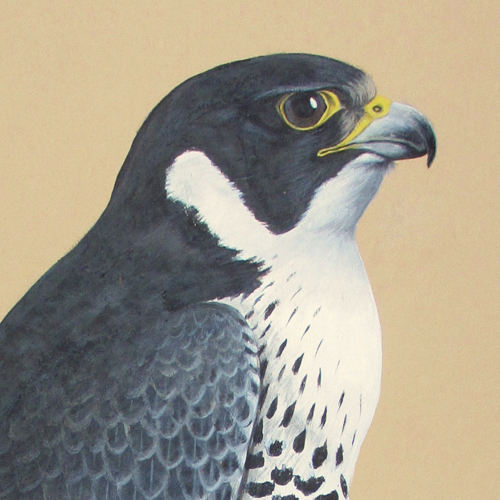 All female and juvenile male hybrids documented so far show a blend of characteristics from the two parent species, as is typical of adult male hybrids; no evidence of such blending is visible in the Gilbert bird. 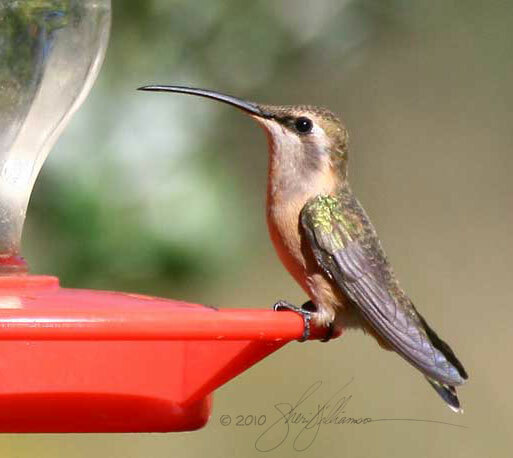 For examples of hybrid hummingbird documentation plus an extensive bibliography on the subject, see Stacy Jon Peterson’s hybrid hummingbirds pages. 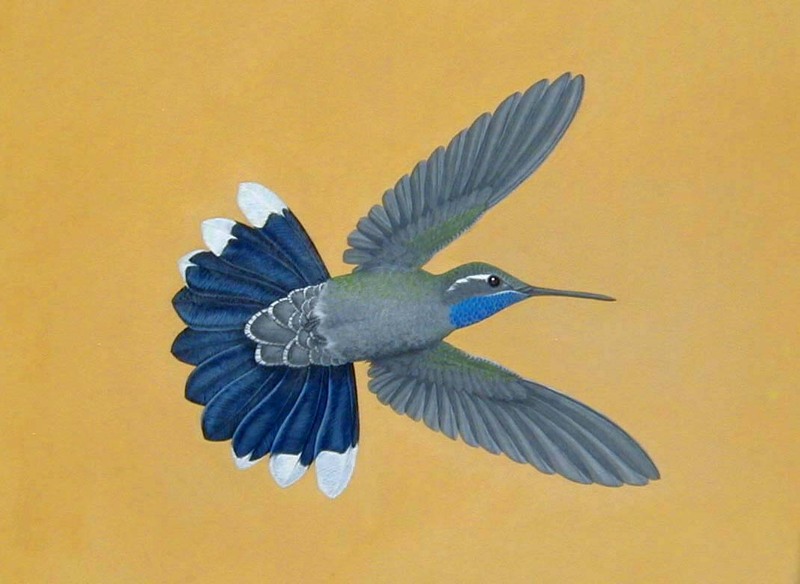 Adult males of seven hybrid combinations are illustrated in A Field Guide to Hummingbirds. 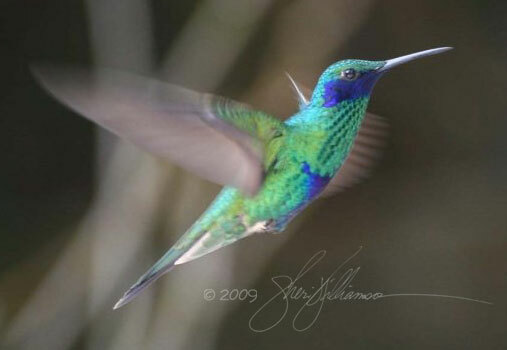 This statement also fails to take into account one of the fundamentals of hummingbird identification: In most species exhibiting marked sexual dimorphism, juvenile males bear a strong resemblance to adult females of their species – stronger even than do juvenile females (see A Field Guide to Hummingbirds, p. 16). 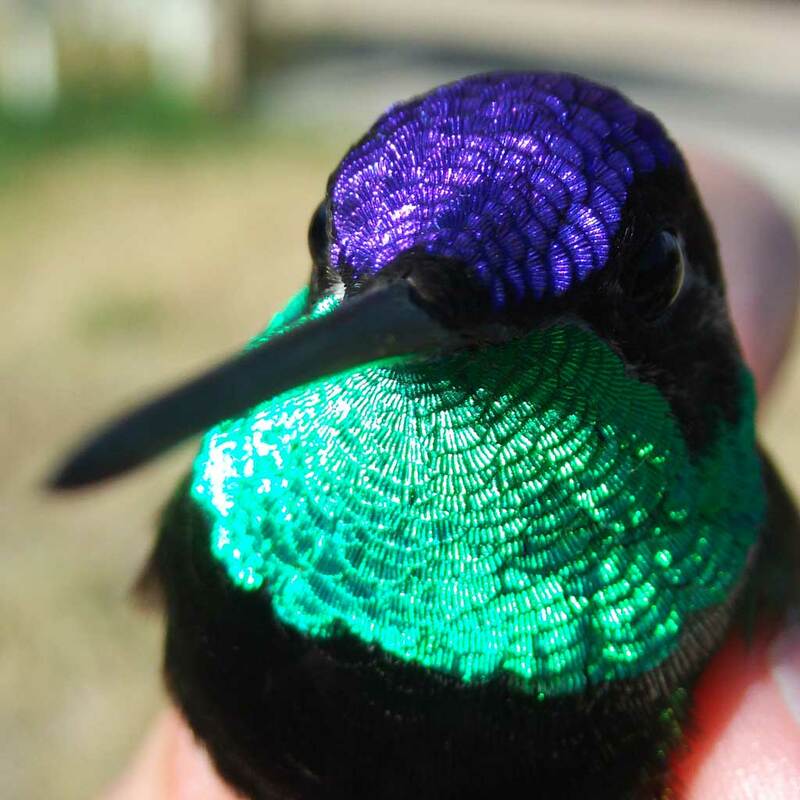 In both Broad-tailed and Black-chinned, the two species posited as the parents of the controversial Gilbert hummingbird, the differences are so subtle that it can be difficult to tell juvenile males from adult females in the field in the absence of iridescent gorget feathers. 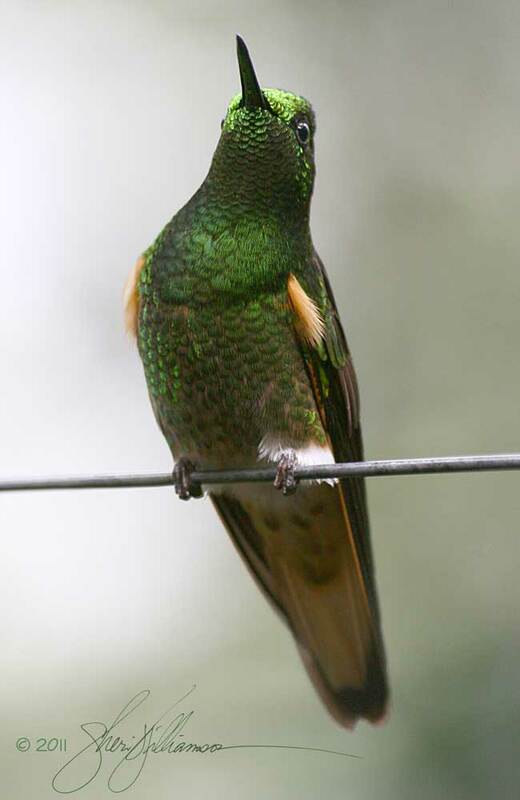 Parsimony dictates that hybrids should not differ markedly from their parent species in this regard; therefore, the muted tail pattern of an adult female Broad-tailed × Archilochus documented by hummingbird bander Fred Basset is what we would expect to see in a juvenile male of this combination. 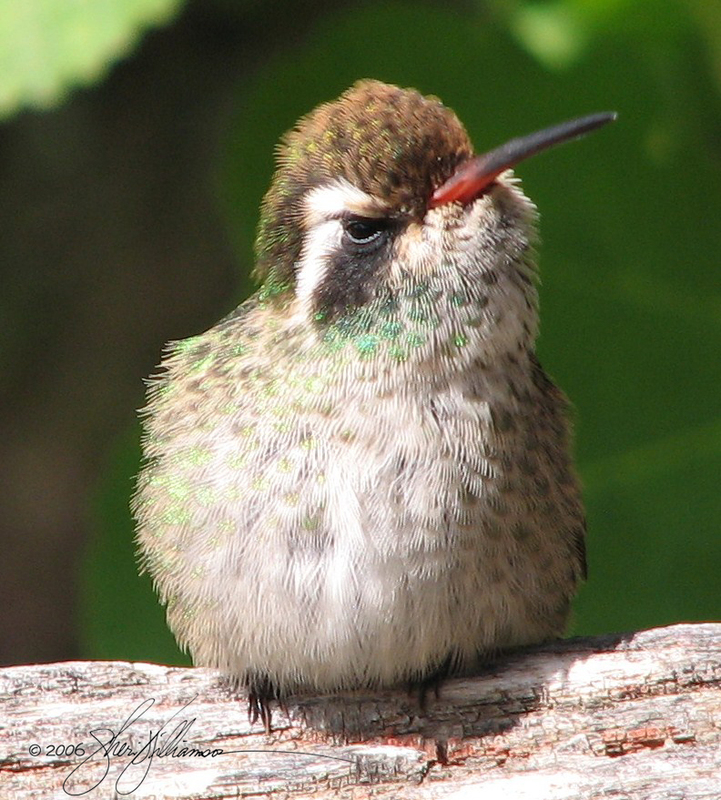 This is a gross mischaracterization of the timing of migration in Broad-tailed Hummingbirds. Not only are they very early migrants, but occasional individuals that overwinter in Arizona would have a “head start” on the first arrivals from Mexico. 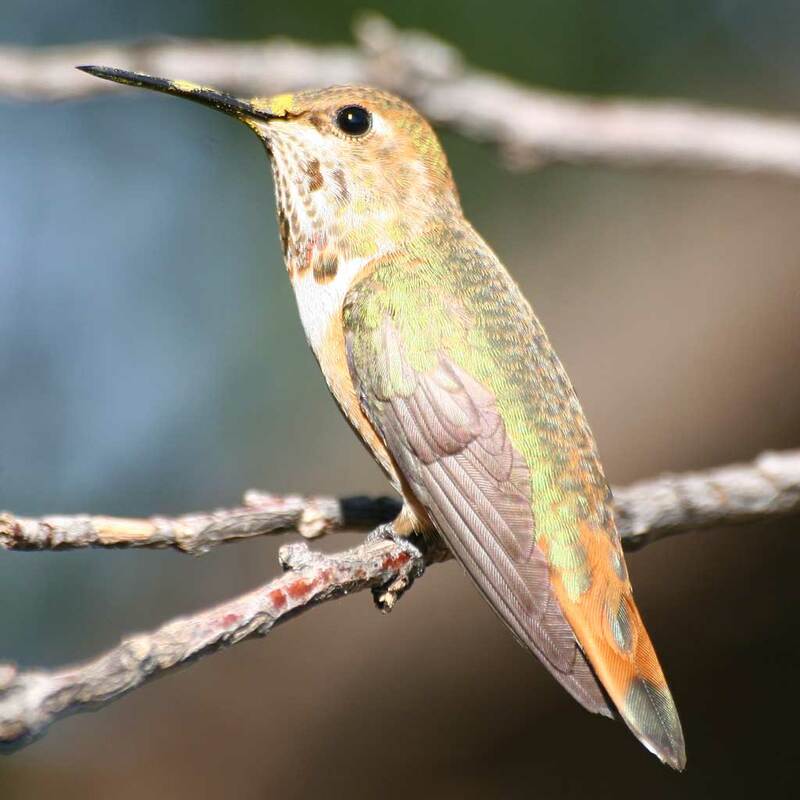 The earliest spring migrants are typically reported around February 20 in southeastern Arizona, which has an unusually high concentration of both resident and visiting birders, but there are also records for central Arizona (Sedona and Tonto Natural Bridge) around the same time. 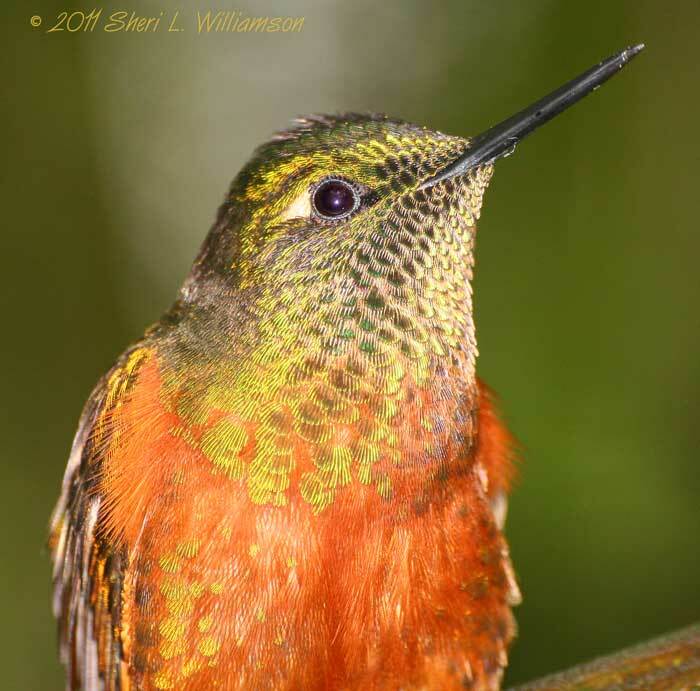 Mature males make up the majority of early reports of this species for an obvious reason: They are easily detected and identified by the loud trilling of their wings in flight. 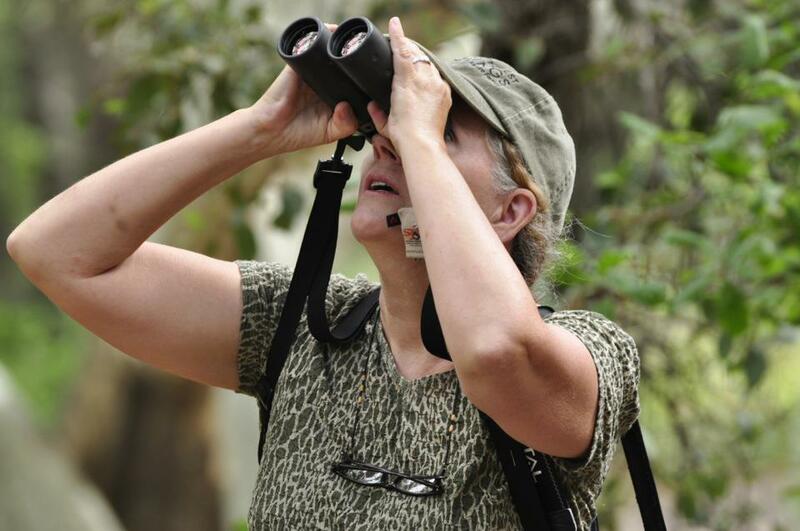 The paucity of reports of the less conspicuous females and second-year males in the early spring migration period should not be interpreted as absence, especially since even the noisy adult males are most often detected away from feeders. Ironically, early migration timing does not necessarily argue against hybrid origin in this case. 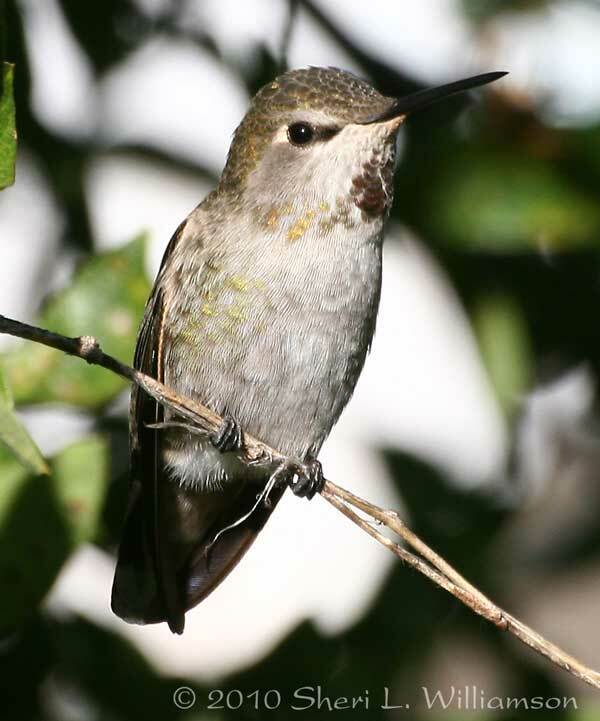 Evidence that hybrids can inherit their migration “calendar” from just one parent comes from a banded hybrid Broad-tailed × White-eared that arrived at Ramsey Canyon Preserve every year in late February, at the same time as the first Broad-taileds but at least 5 weeks ahead of pure White-eareds (A Field Guide to Hummingbirds, p. 218). 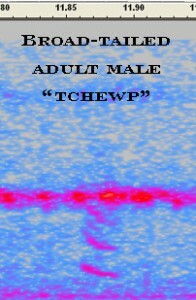 This is a series of 3 rapid-fire nasal tchewp calls approximately 0.05 to 0.07 sec apart. Note the stacked rather than nested appearance of these curves and the space between each element. The broader spacing of the elements on the left and slightly closer spacing on the right of each call unit corresponds with a less abrupt beginning and moderately abrupt end to each call. 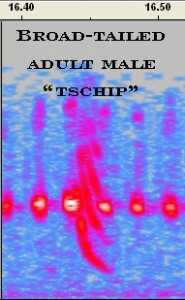 Note that these vocalizations are displayed with a shorter vertical axis (frequency) than the examples above and are actually much lower pitched than they appear. 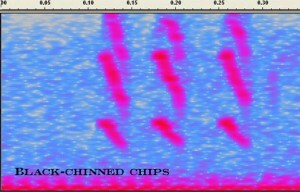 They correspond to the “C” notes in the Black-chinned’s vocabulary (see Rusch et al. 1996). The example at far left is an isolated tschip note; again, the claw-like shape is made up of curved, nested elements with the uppermost partially obscured by the wing trill. The example at near left is a soft, Black-chinned-like tchewp call in the same series as the others. Note the stacked rather than nested elements. It appeared in the sonogram only preceding the harsh agonistic chatter. for providing unpublished source material for analysis.